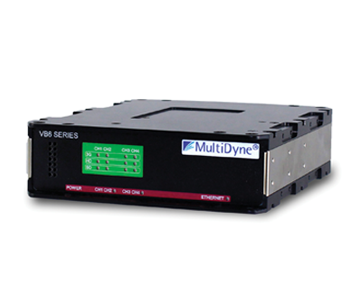 The VB-3609 is part of the versatile LightBrix line of compact, rugged fiber transport products. Ideal for a box camera mounted to a robotic PTZ head, the VB-3609 will transport a full complement of camera signals, including a 4K quad link, as well as an option to supply power to the transmitter and camera, via a SMPTE hybrid cable. By utilizing the SMPTE cables fiber strands for signal transport and its copper wires for power, the transmitter unit, camera, and PTZ head all receive power from the base unit. This allows for flexible setup, strike, and mobility by having the entire camera position free of power outlets.